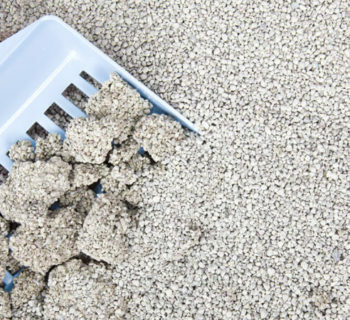 Buying the right size litter box for your cat's needs is very important, but this is often not done correctly. Many cat owners buy a regular size litter box at the store for their cat and then suffer the consequences. 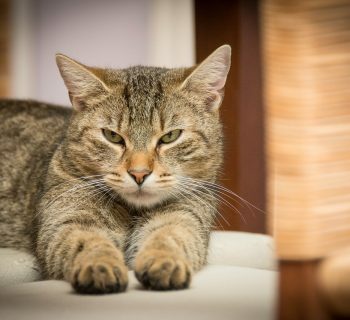 If a cat uses a litter box that is too small for it, the chances of the waste ending up outside the litter box increase. 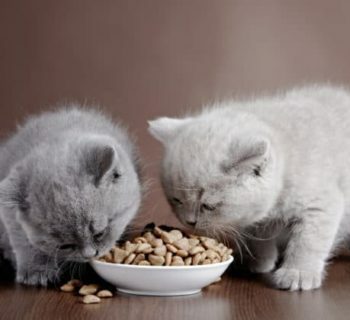 Many cats also like to dig around in the litter, and if the box is too small, the litter can end up all over the floor. This then leads to the cat treading the litter around the home. 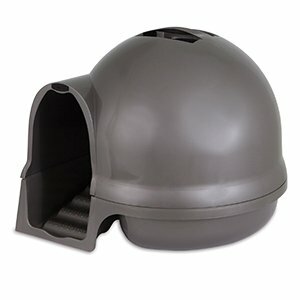 The igloo-shaped Petmate Clean Step litter box from Booda is an excellent choice. It is especially so for homes that have cats that like to dig and for preventing litter from being spread throughout the home. It comes in four different colors, ranging from a light Pearl to a dark Titanium, at varying prices. The pictured Brushed Nickel design is available for only $32.99. With this large cat litter box being enclosed, your cat can dig to its heart’s content without litter being thrown out of the box. 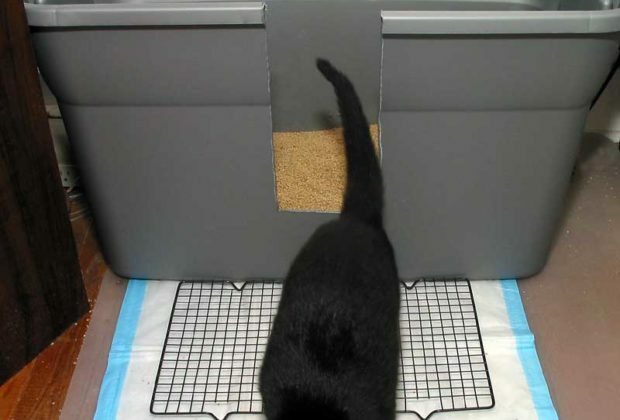 Also, there is a clever ramp that leads into the litter box that is made to catch the litter on your cat’s feet as it walks out. It is 50% larger than most standard litter boxes, and it has a carbon filter to help handle the odors. The type of plastic it has been built with also ensures that cleaning it is hassle-free. 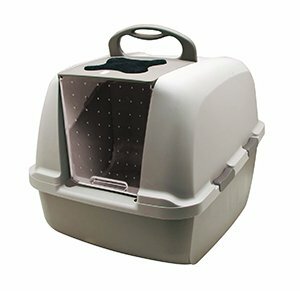 Overall, the combination of a beautiful sleek design and the affordable price make Petmate Clean Step litter box a fantastic option. This is before you even consider that a charcoal filter and a liner are included as part of the package. Up next, the Van Ness Giant High Sides Cat Litter box has a simple design, yet it is very effective at its price. 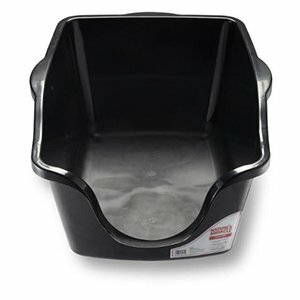 It is the same shape as a normal litterbox except it is much larger and with higher sides. It is available on Amazon for the small cost of $17.99. Customers have commended this box mainly for its ability to hold more than one cat due to its ample size. This is also the case for customers with cats that are on the larger side. Cats need room to move around, and regular sized boxes can cause problems for big felines. This box provides a solution to that conundrum. 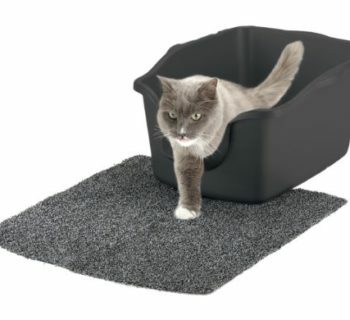 Not only is this litter box for multiple or larger cats, the way it is made is also perfect for cats that love to dig. 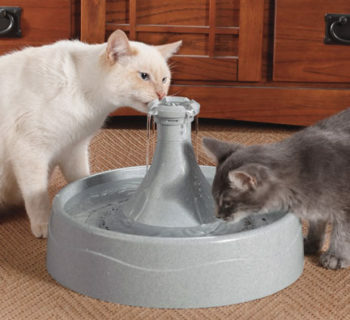 Nobody likes having to clean up after their cat, and the high sides on this make it great for preventing the customary spillage. 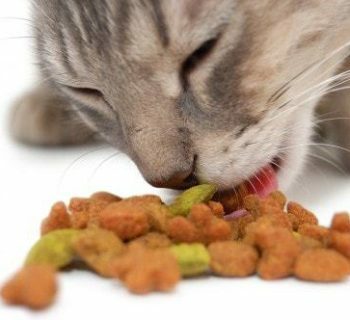 Odors and stains are always a concern for cat owners when buying litter boxes, but there isn't any need to worry here. The way this box has been manufactured means that it is resistant to both problems. The Van Ness Giant High Sides Cat Litter box may look fairly basic, and in many respects it is, but do not be fooled. This is easily one of the biggest and best boxes available today, and the extra large size is what separates it from all others on the market. If you are looking for something with no frills, and at a low price, then look no further. Taking up third place on our list is the Nature's Miracle High-Sided Litter Box. Much like the box above in fourth place, it is very simplistic in design, but it does the job required. 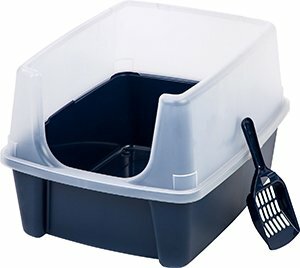 If you’re intending to purchase this litter box, you can buy it on Amazon at a price around $40. Whilst similar to other simple designs, the thing that sets this unit apart is the antimicrobial, nonstick surface. 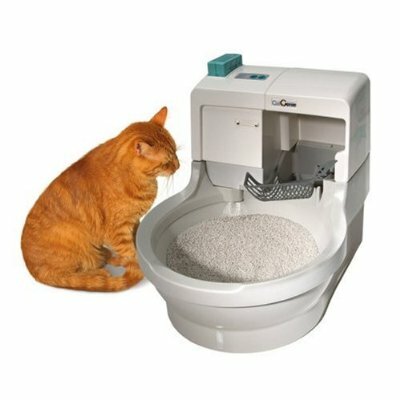 This feature takes hygiene to a new level when it comes to litter boxes. You can be sure that there will be no tough-to-remove stains leftover from your cat when it comes to cleaning this box. Another feature of this pan that makes it different from other basic litter boxes is the low entrance. As cats get older, we know that they lose their movement, so it is essential to make things easy for them. It isn't just old age, cats are susceptible to leg injuries due to their daring nature. The opening to this box is so low that this would be great for cats who suffer any type of ailment. The dimensions of this box come in at 23 x 18.5 x 11 inches. Whilst still a sizeable litter pan, it is slightly smaller than others which advertise themselves as large cat litter boxes. Still, this should comfortably be spacious enough to allow any large cat to enter it. Consumers have mentioned that fitting two cats in it may be a tight squeeze, however. Cats can be costly creatures so keeping costs as low as possible is always a priority for most owners. Many a consumer has commented about the durability and life expectancy of this product. With this box said to last upwards of five years, this makes it a really good investment for its price. 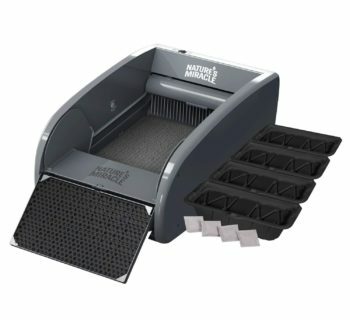 To summarise, Nature's Miracle High-Sided Litter Box is another simple no hassle litter box for the cat owner who wants a good cheap product. Pair this box with a good brand of litter, and the combination will make cat care much easier. ​The IRIS Open Top Cat Litter Box Kit with Shield and Scoop is a great starter litter box. It is incredibly cheap but incredibly effective. Combining both sturdiness with a functional, appealing design, you can pick this up for as little as $18 on Amazon. A key reason as to why this box is loved by cat lovers is the design. 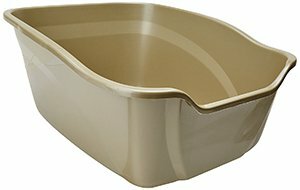 Most other litter boxes that are intended for large cats have high sides, as this one does. What puts this a level above though is the well thought out shield design around the perimeter. The inward curving edges of this box add a much need extra layer of prevention to the nuisance of litter scattering. Nobody likes cleaning up more than they should, and the structure here ensures that prospect is greatly reduced. Another pet hate of cat owners is the litter box being knocked around when the cat leaves its tray. This annoyance has obviously been taken into consideration by the manufactures when making this unit. A recessed bottom and molded-in feet allow this box to fit into all spaces and secure it there. No more finding the box halfway across the room. An additional bonus is thrown in with this large cat litter box, in the way of a matching litter scoop. What is great about this is it can attach to anywhere on the box. This is yet another plus to the way this box was designed. Although the IRIS Open Top Cat Litter Box comes in at the cheapest on the list, it does not lack in quality. If you are after something that is inexpensive but does the job to a very high standard, then this is the product for you. 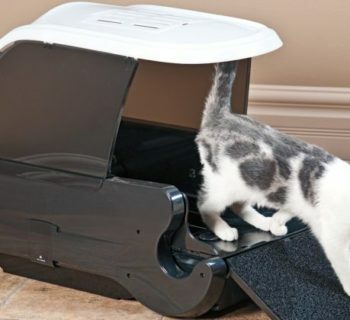 Finally on our list is the Catit Jumbo Hooded Cat Litter box. 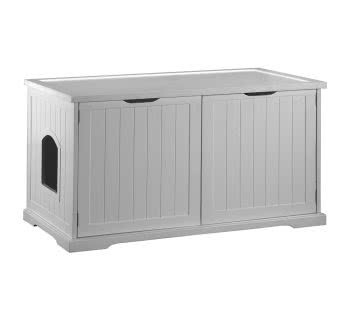 This box allows your cat or cats plenty of room to take care of their business. They will not be crowded and they will be afforded the privacy they need to do their business. This is the most expensive on the list with it being available on Amazon for around $54. We will explain why, despite the price, it takes the number one spot. Now when Catit describes this box as jumbo, they really mean it. Buyers of this litter box have remarked at how roomy it is. It can easily fit one large cat with lots of leftover room, or it can hold upwards of two cats. The size of your cats will obviously determine how many of them will fit into this box though. Just because a box is jumbo in size does not automatically make it a good litter box right? Well, the size is just the tip of the iceberg with this unit. Firstly it is made so that cleaning is as pain-free as it can possibly be. The hood can be raised off to allow for easy access when it's cleaning time while a built-in bag anchor assists in keeping the bag open which gives you free hands to scoop. One thing on the litterbox that is not on other litter boxes on this list is the flap. Every cat owners fear is that their home will smell due to the litter trays which may put them off inviting guests over. The flap is very clever in that when it is closed, it holds all odors inside of the box. Some buyers of this unit have commented that it can be stiff at first. After a few uses though, it swings freely like any other flap that you may have such as in your kitchen door. The flap is also easily removable which is another reason why this box is so simple to clean. This box also features a handle on the top. There is nothing too special about it, but it makes moving the box about very easy. It would also be useful if your cat sustains an injury and needs to visit a veterinary but does not want to leave its litterbox. This Catit Jumbo Hooded Cat Litter box is overall, in our eyes, the best litter box for large cats. Whether you are a first-time cat owner or have previous experience in caring for cats, this box needs to be seriously considered by all. The price may be higher than most others available, but when taking everything into account, you can see why. 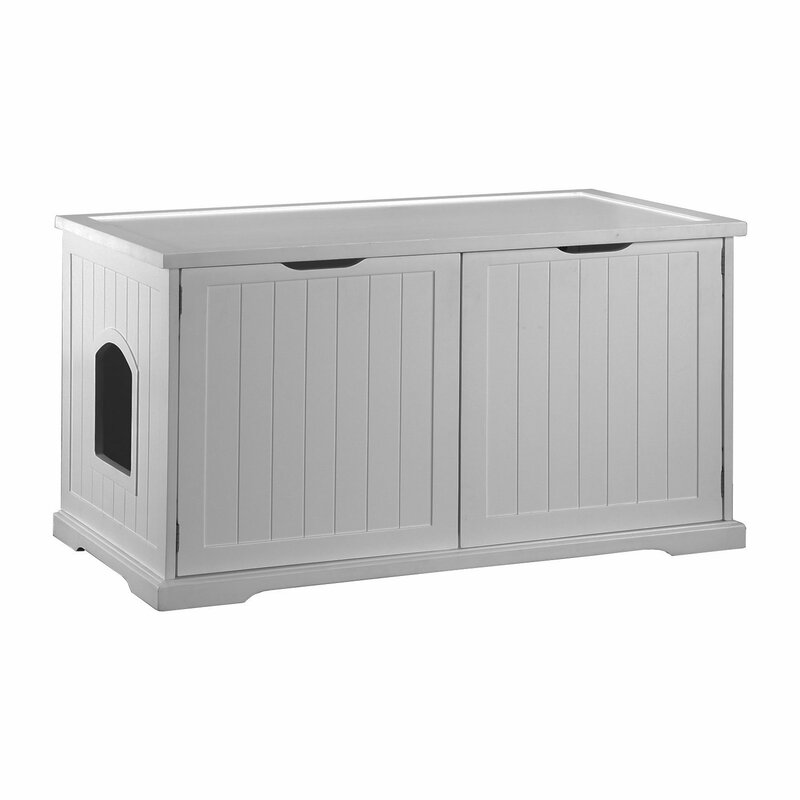 When looking for a large cat litter box, it is important to find one that is deep and not just greater in length and width than the average litter box. Some large litter boxes are big enough to accommodate a large cat but lack the appropriate depth to handle the digging and movement of the cat that can send litter flying. The litter boxes ranked above are all made for large cat and cats that like to dig, so all of them will meet your cat litter box needs.